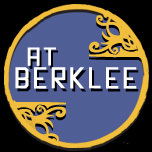 In the midst of touring last year, Boston based shred guitarist Dean Cascione asked if I could track drums for his upcoming E.P. so I tracked drums at Porcupine recording studios in Chandler, AZ clients at Porcupine have included Johnny Depp, George Benson, Esteban, etc, etc. I just wanna give a personal thanks to Dean Casione for letting me be a part of his new E.P. 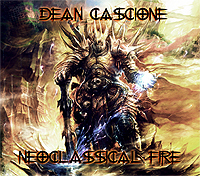 "Neoclassical Fire" which was released June 27th, 2011. In other news, I’m happy to announce, that I’ve started my own independent music project where I sing/songwrite everything. It’s called Dead Original and you can purchase my first single ‘Save Me’ on CDBaby! 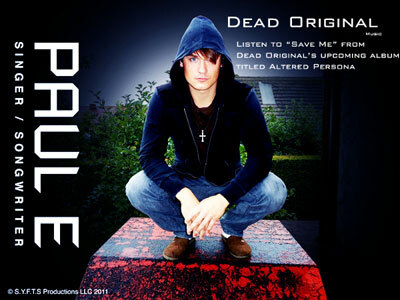 http://www.cdbaby.com/cd/deadoriginalpaule2 soon to be on Itunes, Rhapsody, Amazon etc, etc. Yes, this is a project that’s not all drums and I track, write, sing everything under the stage name PaulE. 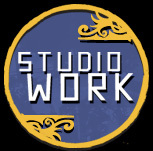 Plans are to continue this as a studio project and to release a studio album sometime next year or the following. If all goes well, then I might do some showcases where I play guitar and sing with a live band, but until then………..
I’ve realized in the industry that some of the best drummers are not just drummers and alongside being educators, most are songwriters and/or producers of some sort. I starting writing a few years back sparingly but lately it’s become a new venture and something I look forward to in addition to drumming. Songwriting has really opened up my concept of "playing for the song" not only for my project but for any other musical setting because now, I’m always thinking of how my drums can really support the vocals, bass, gtr etc, etc and overall feel of the song. Stay tuned and keep informed with my original project at www.facebook.com/DeadOriginal. Here’s a nice little lyric video for my new single ‘Save Me’.